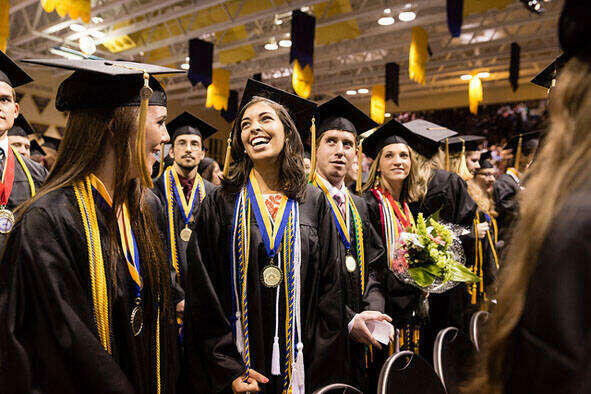 Rollins' tuition programs reflect the College's commitment to lifelong learning. From tuition remission to tuition assistance, Rollins offers employees and their dependents an array of opportunities to enhance their education. Rollins College provides educational opportunities for employees who wish to gain and/or enhance their knowledge in a field of study. Our tuition policies do not constitute a guarantee to employees for admission into the program. Departmental work requirements and needs, as well as admissions standards of the individual program applied for, will govern the employee's ability to attend. These benefits also provide educational opportunities and financial assistance to spouses and dependent children of faculty and staff. Faculty or staff members with regular, benefit-eligible appointments of 1462 hours per year or more, after one year of service. Any Student seeking their first Bachelor’s Degree must apply and qualify for the Florida Resident Access Grant. Failure to qualify may result in additional charges. See Student Financial Planning for additional information. Faculty/Staff member is expected to pay any other applicable fees, room & board, charges, computers, etc. Graduate programs for employees are tax-free for the first $5,250 in tuition per year. Tuition costs over $5,250 will be included in taxable income during the term. For dependents of faculty or staff members with regular, benefit-eligible appointments of 1462 hours per year or more, after one year of service. An eligible dependent is a spouse, domestic partner, natural child, stepchild, or a child legally adopted or for whom you have been granted court-appointed custody before that child attained age 16. A child who is not considered a dependent under the IRS guidelines will be eligible for the tuition remission. However, the tuition cost will be included as taxable income. Tuition-free if space is available. Graduate Programs for dependents are taxed on the value of the program after the first dollar and will be included in taxable income for the year. For dependent children of faculty or staff members with regular, benefit-eligible appointments of 1462 hours per year or more, after one year of service. Eligibility for the Exchange Program does not guarantee admission to the exporting school as schools may limit the number of students they accept from another exchange school. Provides educational opportunities to eligible dependent children of faculty and staff to participate in a tuition exchange program with members of the Tuition Exchange Program. Each participating school may have different benefits and eligibility requirements.Be sure to look up the school at the Tuition Exchange Program site for their benefits.